Doctors have rejected jobs at health centres at commune and ward levels in poor and remote areas in the northern mountainous province of Ha Giang after receiving training to improve their capability. 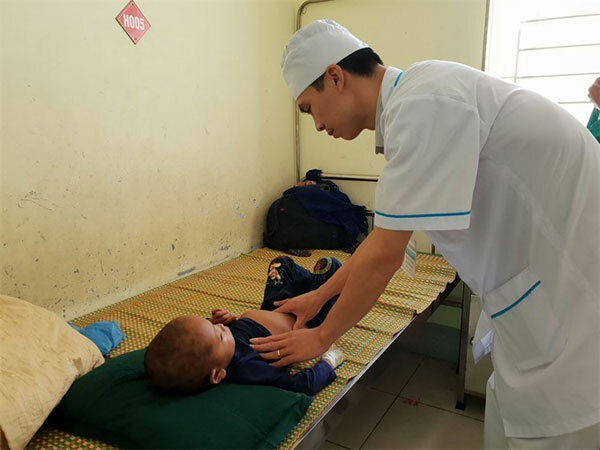 Luong Viet Thuan, director of provincial Health Department, reported the trend to a delegate from the Ministry of Health who came to the locality to check on the presence of highly skilled doctors. Thuan said after the doctors finished their training courses, the department issued decisions to send them to work at the health centres. Many of the doctors did not even show up at the department to receive the decision, electing instead to quit their jobs. The province had suffered from the situation for many years and had tried and failed to find workable solutions, he said. Ha Giang was not the only province suffering from the situation. The national health sector also has to face it. Statistics from the ministry show that the country has over 11,000 health centres at commune and ward levels. But the centres have failed to lure highly qualified and skilled doctors. An estimated 62 poor and remote districts nationwide face a lack of 600 skilled doctors, Vietnamplus.vn reports. In provinces such as Ha Giang and Tuyen Quang, there are remote areas located 100 to 200 kilometres away from the province centre with bumpy roads. According to Phan Le Thu Hang, deputy head of the ministry’s Planning and Finance Department, their isolation is one of the main reasons for the situation. Inadequate facilities and low salaries were also to blame, she added. In an attempt to solve the situation, the health ministry has launched a pilot project to send young volunteer doctors to work in poor and remote areas, especially in the 62 districts that are most in need of help, since 2013. The doctors join training courses at the medical universities of Hanoi, Hai Phong and Hue before arriving in the areas. Some 242 doctors have joined the projects so far. The doctors will help transfer knowledge and skills to doctors currently working in commune and ward health centres. The project has already proved effective, but it also has shortcomings. For example, doctors participating in the project work at the health centres for about three years. After this time, they go back to the central-level hospitals they worked in and the provinces they lived, leaving the underserved health centres with a lack of skilled help once again. Thuan, director of the provincial health department, said the project should select and allocate candidates who were local residents instead of doctors working at central hospitals. If the doctors were local residents, they might stay longer with the local health sector than doctors working at big hospitals, he said. In the meantime, Nguyen Van Thang, head of Health Centre in Ha Giang Province’s Hoang Su Phi District, said the ministry should issue more encouraging policies, including raising salaries and improving facilities, in order to keep highly skilled doctors at the health centres. Hang said the health sector’s human capital was unequally distributed. Most skilled doctors were working in urban areas. The number of people living in urban areas only accounted for a third of the country’s total population. She asked the ministry to consider measures to right the imbalance and raise the number of skilled doctors working at commune and ward health centres in poor and remote areas.